Welcome to Get on Board 2019 training session. 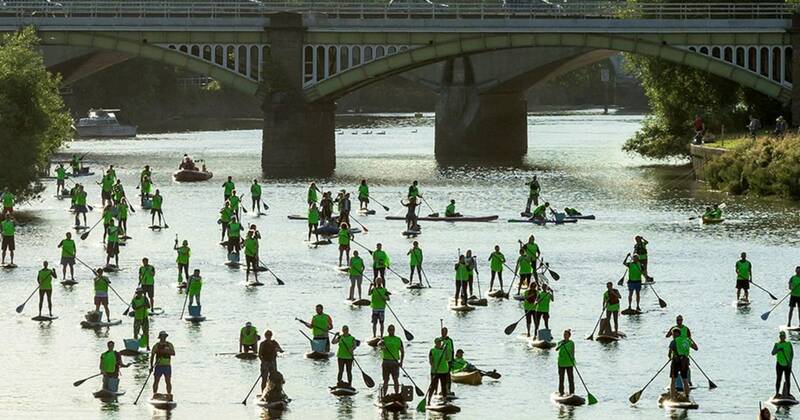 This year the event takes place on Friday 21st June 2019 and runs from Kew Bridge to Richmond. You do not need to be a proficient swimmer, but should be comfortable about falling into water while wearing a buoyancy aid. 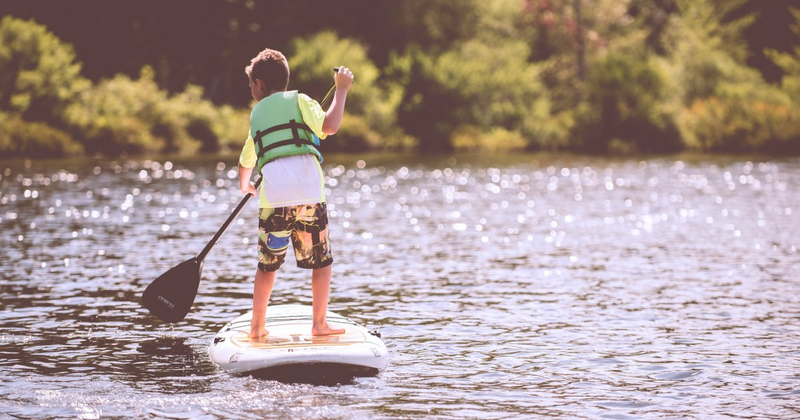 A certain level of flexibility and ability to get up to standing from kneeling is required for learning to paddleboard. You will need to shower / wash thoroughly after the session if you have fallen in or been splashed and need to ensure any open cuts are covered. We have taken people with physical and mental disabilities out on the water however please contact us before booking as we may need to take you out privately to ensure you receive the coach's full attention. We will also need to know of any recent injuries prior to the session. The session will start with some land-based training near our pontoon, before heading out on the river . 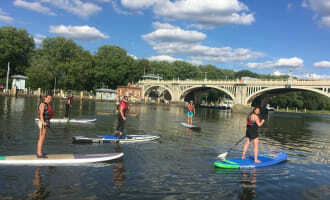 We will pass some of south west London's most picturesque landscapes and work on techniques such as turning and moving from kneeling to standing before returning to the pontoon .